Please note Sri Madhwa Navami occurred in past. 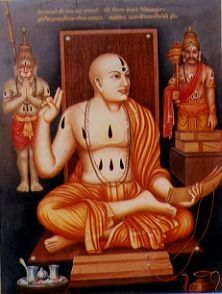 Life of Sri AnandaTirtha: Sri Madhwacharya also known as Srimad Ananda Trtha, is the founder of the Dvaita(Dualism) School of Vedanta. 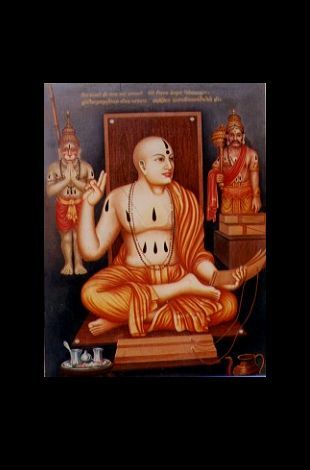 He is the last of the great Achryas of Hindu Philosophy( the other two being Sri Shankara and Sri Ramanuja), and is also the 22nd commentator on the Brahma-Stra of Veda Vysa. Acharya Madhva is the third incarnation of Vayu, the god of life, as given in the BaLitth Skta of the Rg Veda.